Olivéma Pomace is a light oil that results from the successful blend of our virgin olive oil (10%) with refined olive-pomace oils. Its main characteristics are its very light taste and aroma. Its acidity level may reach up to 1% maximum and is derived from both natural and chemical methods. 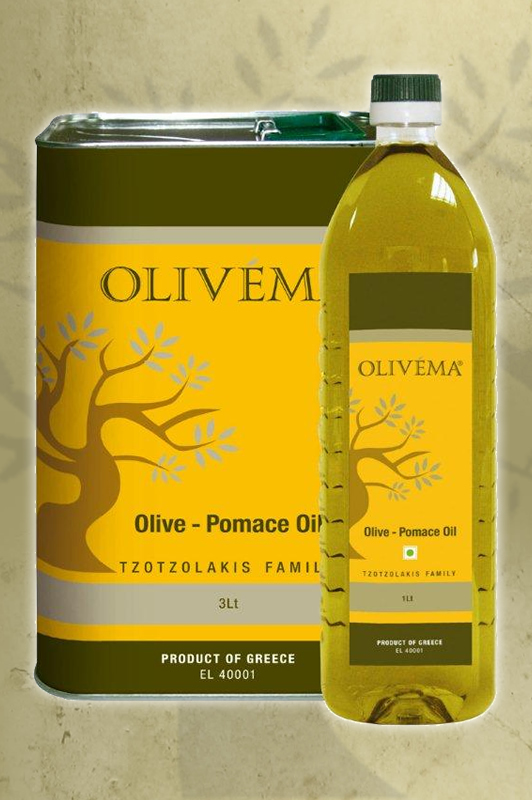 Ideal for various cooking methods, particularly deep-frying and roasting, Olivéma Pomace is an increasingly preferred option for both restaurants and households around the world today.